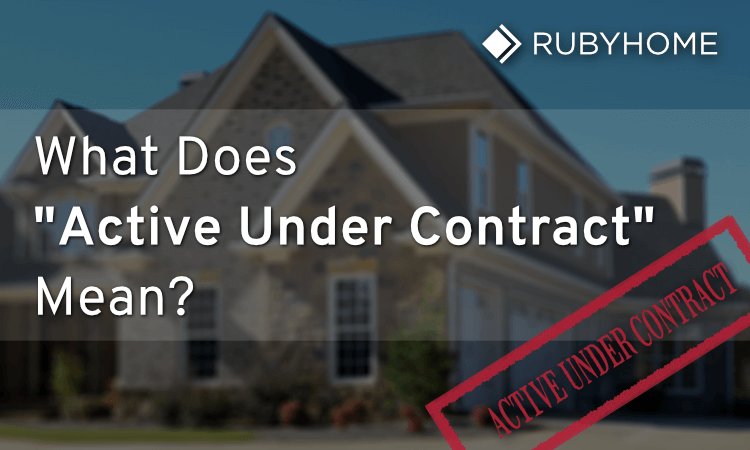 “Active Under Contract” is a real estate term that indicates the status of real property (single family home, condo, townhome, etc.) that has been put up for sale wherein a seller has accepted an offer from a buyer, but the deal has not yet closed. This term is primarily used in the State of California. A property's status is set to Active when posted to a Multiple Listing Service (MLS) and then subsequently updated to Active Under Contract when an offer is accepted for a period until the deal closes. After closing, the status changes to Sold. On RubyHome, you may see three types of listing statuses: Active; Pending; and Under Contract. When a real estate broker or agent takes a listing (signs a contract with a seller to market their property), they’ll write up a property description and post it to a local or regional MLS. At that point, the property becomes officially up-for-sale and is available to other agents to view by logging in to their MLS. At this stage, the status is Active. Within a few minutes, the new listing is distributed to agent-owned and broker-owned websites (like RubyHome) who get a direct data feed from the MLS. Only dues-paying brokers and agents of an official MLS may access this feed and display official property listings. Listings are not automatically nor immediately distributed to big portals like Zillow or Trulia, which is why these massive websites have fewer listings and less accurate status information. It’s not uncommon for a home shopper to see a property listed on a portal, but when they make an inquiry to view it with an agent, they’ll find out the home recently sold. If you think the paragraph above was a shameless plug to use a locally-owned real estate website with a direct MLS feed like RubyHome, you’d be correct. When a buyer makes a contractual offer, and the seller has accepted it, the listing status changes to Active Under Contract. The written offer forms binding agreement that essentially takes the property off the market because, a) it bars the seller from agreeing to another contract for the same property with any other party, and b) requires the buyer to pay for the home. However, nearly every real estate contract includes contingencies, and the deal will only close when those contingencies - outlined in the contract - have been fulfilled. Sometimes contingencies go unfulfilled, leaving open the possibility that a deal falls through. Therefore the home remains listed and available to view online. Typical contingencies include the completion of a home inspection, home appraisal, title search, or attorney review – any or all of which can contribute to the most common contingency: the buyer’s ability to procure adequate financing. The normal length of the closing stage (a.k.a. the contingency period) of a real estate transaction can take as little as a couple of days to several weeks, roughly 30 days on average under normal market conditions. The closing stage can take longer in hot real estate markets when lenders or appraisers have a hard time keeping pace with demand and deal volume. As mentioned above, while the listing status remains Active Under Contract, the seller cannot enter another contract for the same property with another party. However, sellers can collect backup offers from other interested parties. Backup offers essentially serve as placeholders for the next buyer(s) in line. If there’s a breach of contract (the sale falls through with the original offeror because a failure to perform the terms), the seller can then proceed quickly to next offer. Backup offers are pretty standard in hot real estate markets when inventory is low, and demand is high. A Pending listing status indicates that all contingencies are met and that the home is in the escrow period where the final paperwork, signatures, and disbursement of funds take place. Under Contract vs. Pending: As mentioned above, an Active Under Contract period can last several days or weeks. A status of Pending is typically very short in duration, usually just a day or two. What’s more Pending deals almost always close (very, very high percentage) so they are very unlikely to be available. If for some unlikely reason a Pending property fails to close, it will come back on the MLS (and again on our site) rather quickly. That's one of the best reasons to subscribe to email notifications/listing alerts – you automatically stay on top of the available homes for sale in Los Angeles. Sold (or Closed) are no longer on the market. Consumers looking for sold listings are typically in the planning stage to sell their home and want to know prices of recently sold, comparable properties to their own. If you’d like to know what your home is worth, we’d be happy to create a Comparative Market Analysis (CMA) report for you for free using MLS data and more sophisticated software. Why not just remove the property from the MLS after the first offer? Sometimes deals fall through, so it behooves the seller to continue to market the home, condo, etc. actively. The smart move is keeping it exposed to the broadest pool of potential buyers as possible. Attracting other potential buyers, just in case the current contract doesn’t perform, is the prudent course of action. Can I still view homes in person if they are listed as Active Under Contract? It depends. Some sellers will not allow tours while their home is Active Under Contract. They may wish not to be disturbed, and they may be preparing for their move. It's hard to pack a house full of belongings and simultaneously keep it in a clean and pristine condition for viewings. Also keep in mind, viewing homes under contract is not the most efficient use of your time; most properties that reach this status will close. However, if sellers feel some uncertainty about the probability of closing their current contract, they will be more amenable to showing the property to other prospective buyers. 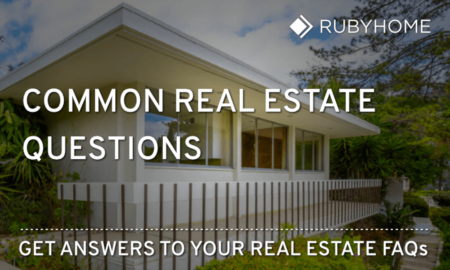 How long can a house remain a property under contract? The closing stage of the home buying process typically takes 30 to 45 days (and even up to 60 days under certain markets during peak periods). It takes time to finalize the financing and contingency removal via the appraisal, inspection, etc. If a house is under contract, can I still make an offer? Yes, you may make an offer. However, the seller cannot accept your offer unless there is a breach of the current contract to which they are a party. I saw a yard sign that said ‘In Escrow.' What does that mean?